With hundreds of Buy to Let mortgages available, it’s not always easy to work out whether you’re on the ‘right’ deal. If you have been letting property for decades, you might regularly review your mortgages or perhaps you only switch products when you have to. You could be about to invest in your first Buy to Let and aren’t sure where to start. Maybe you don’t think changing your mortgage deal will make much of a difference to your investment returns, or you could have decided to invest entirely with cash. Whatever your circumstances, the reality is that how you finance a property investment can make or break your returns and reviewing mortgages on a regular basis could save you tens, if not hundreds of thousands of pounds. This month, we’d like to introduce you to our new mortgage services brand partner, Embrace Financial Services. Headed by Reeds Rains Managing Director, Oliver Blake, the management team comprises experienced LSL group personnel, who are working hard to ensure we continue to offer our mortgage clients the best possible service. 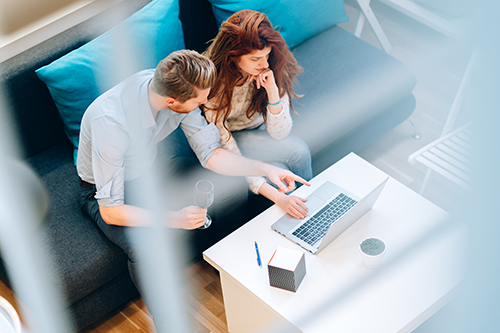 Here are five top tips from Embrace’s Operations Director, Simon Cox, on how to check you’re financing your Buy to Let in the best way. When you invest with cash, the benefits are that there’s no risk of repossession and you get to enjoy all the income you earn – minus costs. However, you’re unlikely to maximise your returns, particularly if you invest with cash for the long term. When you own property with a mortgage, as prices rise you get to keep all the increase in equity (less tax). That means you benefit from the growth on your own invested capital and the growth on the bank’s money. Of course, having a mortgage means you’ve got the additional cost of monthly repayments but, if you buy right, the rental income should more than cover it, meaning it’s not costing you anything to quadruple your equity over time - and the extra equity should outweigh the reduced monthly profit. As everyone’s situation is different, it’s essential to consult a financial advisor and a property tax specialist before making a decision about how best to invest but for many landlords there is a clear benefit to leveraging the bank’s money. This is easy to answer: use a broker. That’s chiefly because 75% of lenders only offer their Buy to Let mortgages through a broker, such as Embrace Financial Services. So, if you’re currently working directly with a lender, it’s well worth taking some free initial advice to check that you’re not missing out on a better or more suitable product. There’s also the matter of the application process and each lender’s criteria for offering a mortgage. Some take a negative view on flats, especially if the property is over 4 storeys high or a conversion, others don’t like Houses in Multiple Occupation or company lets and some lenders won’t let you rent to tenants on benefits. Then there’s you: your age, salary, type of employment, etc. will all affect a lender’s decision on whether and how much they’ll lend to you. And remember, if you’ve currently got three properties and you’re planning to buy more, you’ll be classed as a ‘portfolio landlord’. That means lenders will ask for a lot more information and the mortgage application process will take longer. Given all these different factors, by far the best way of ensuring your application is right first time and has the best possible chance of being successful is to use a broker who is familiar with the latest criteria. Question #3: Best rate or right finance? Sell part of the land that belongs to the property, which could affect the capital value and reduce the number of deals now available to you. You also have to assess the benefit of time-limited discounts that might be available and take into account the overall cost of the mortgage. All in all, it’s a complicated calculation, so it’s important to take professional advice to make sure you get the most suitable product overall, rather than simply focusing on the lowest interest rate. Banking and lending changes fast. New ones are coming into the market on a regular basis and some change their products as often as every three months meaning lenders are competing for business. So you may also find that, while the finance you have at the moment was the best you could get a few years ago, there’s now a better option. If you haven’t reviewed your property finances recently, get in touch with us for a free consultation. Question #5: How much difference can switching really make? 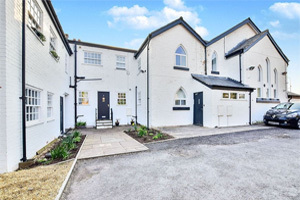 You might think a reduction of a few percent wouldn’t make much difference to the cost of your mortgage, but it really can, particularly if you’ve got several properties.. According to the Money Advice Service site (sponsored by the Department for Work and Pensions) if you have £175,000 mortgage left to pay over the next 20 years and you can reduce the mortgage rate from 5% to 3%, you would save £1,728 per year. If you own several properties this kind of saving could make a real difference to your property portfolio’s profitability. Whether you’re looking for a new mortgage or to re-mortgage a property or portfolio, if you want access to thousands of deals from a comprehensive range of products, we’d love to help. Simply give one of our Embrace Financial Services advisers a call on 01392 453568 to discuss your circumstances or complete our enquiry form online and we’ll be in touch. An initial consultation is free of charge and you only need to pay us if you decide to take our advice. Embrace Financial Services usually charge a fee for mortgage advice. The amount of the fee will depend upon your circumstances and will be discussed and agreed with you at the earliest opportunity.